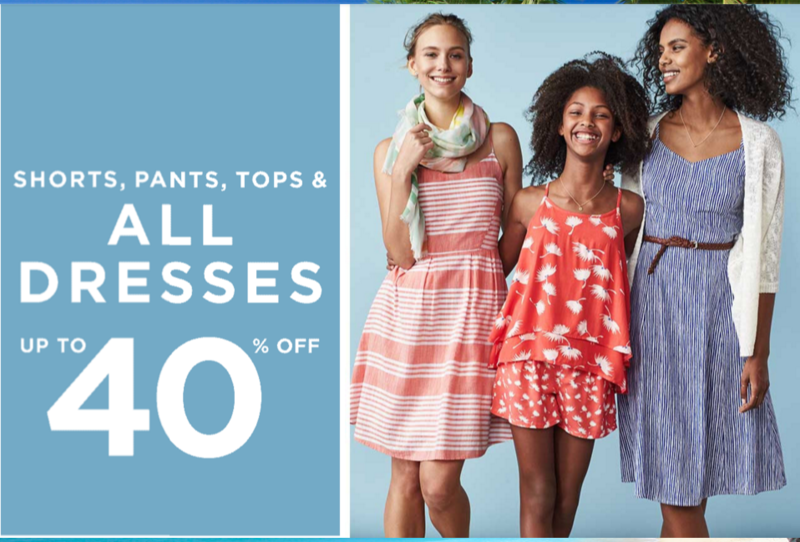 Old Navy makes shopping fun and fashion affordable for the whole family. At OldNavy.com, you'll find everything from the best in denim, khakis and graphic tees to casual clothing for work and play. 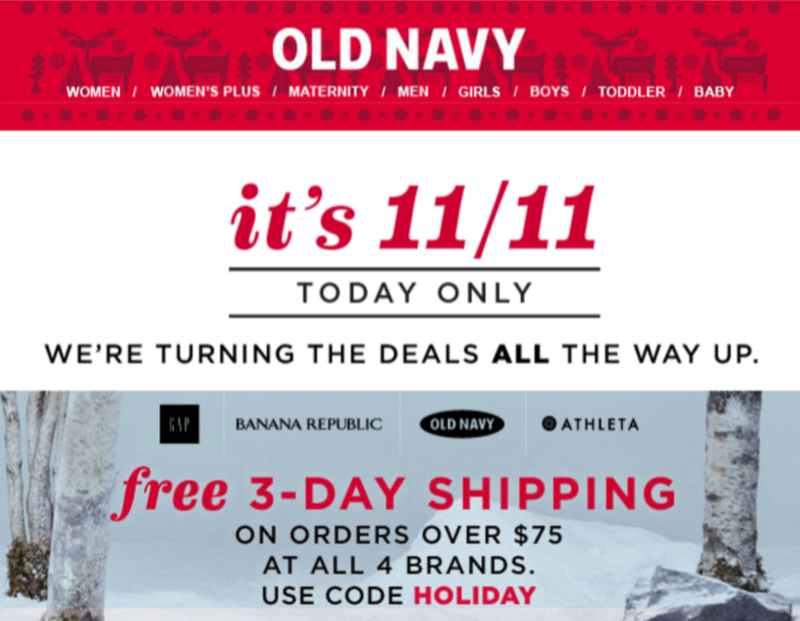 OldNavy.com offers some of the best prices around on sleepwear, outerwear, sweaters, sweats, bags plus the Old Navy Item of the Week - each and every week, a special item at a special price. Shop for great clothes at great prices for adults, kids, baby and mom-to-be at OldNavy.com. 1. Old Navy offers fun, trendy fashions at the most affordable prices - so keeping up won't keep you broke. 2. 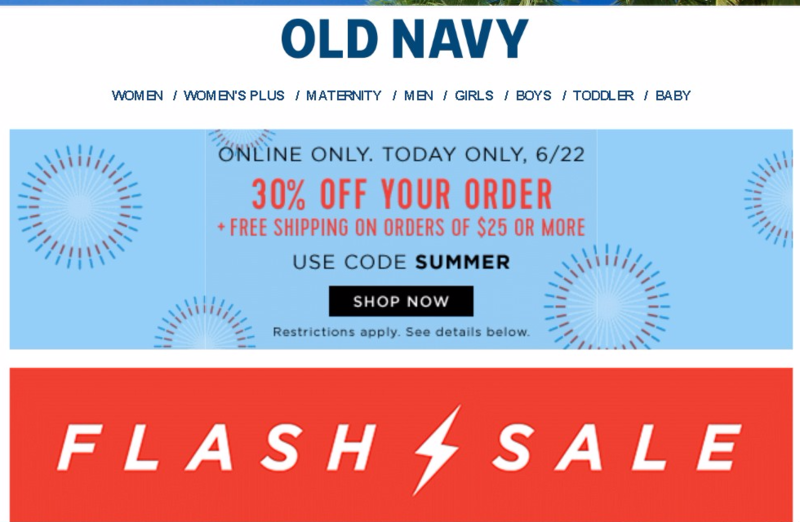 OldNavy.com is a one-stop shop for men, women, kids, babies and even expectant mothers. 3. OldNavy.com offers gift wrapping for just $5. 4. If you're not completely satisfied with your OldNavy.com purchase, you can return it online or in an Old Navy store up to 90 days after shipment. 5. OldNavy.com has detailed size charts that make online shopping simple! 6. 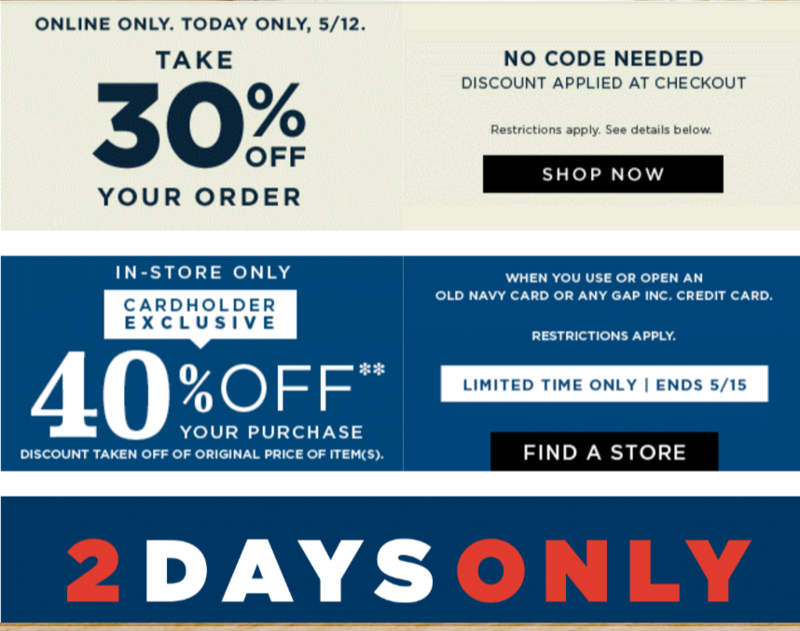 Sign up for an Old Navy credit card to receive special news and discounts. 7. For every $100 you charge, earn $5 in Old Navy bucks to be spent at Old Navy or OldNavy.com. Generating shop data, be patient please. There are currently no comments. If you wanna share your experienc with this store, click on the Star top right by the store name. Thank you.